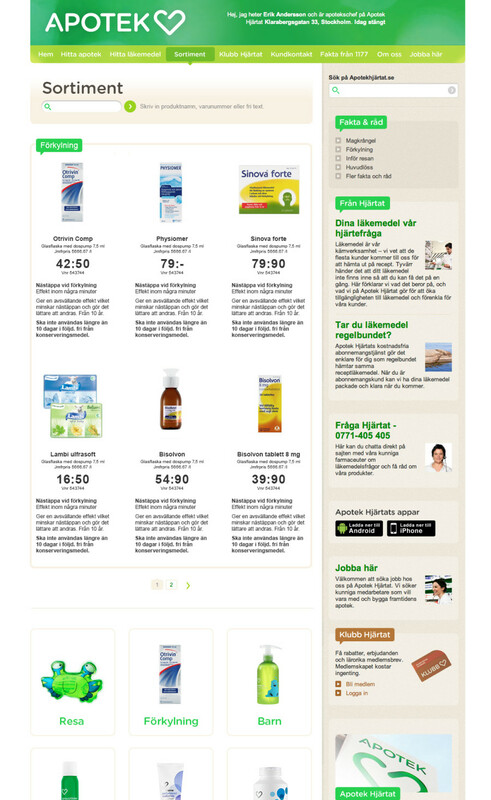 Apotek Hjärtat is one of Swedens largest pharmacies with around 270 stores. Chamigo is helping them out with the developing html and css prototypes for the companys public and internal web. The html is based on existing css which makes it a delicate job to not brake any existing css while at the same time reuse as much of the markup as possible. The client needs support from IE7.